Choose the product that suits you best! Do you like camping in the early or late season? 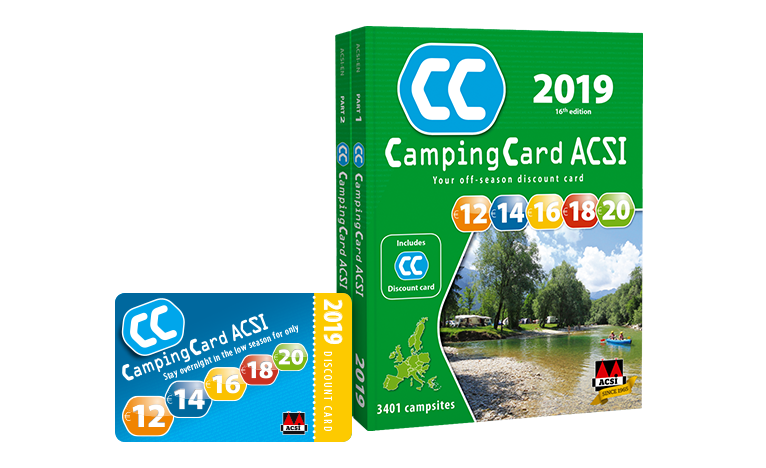 CampingCard ACSI is the discount system for the low season which offers you great value with fixed discounted rates of €12, €14, €16, €18 or €20 per night. 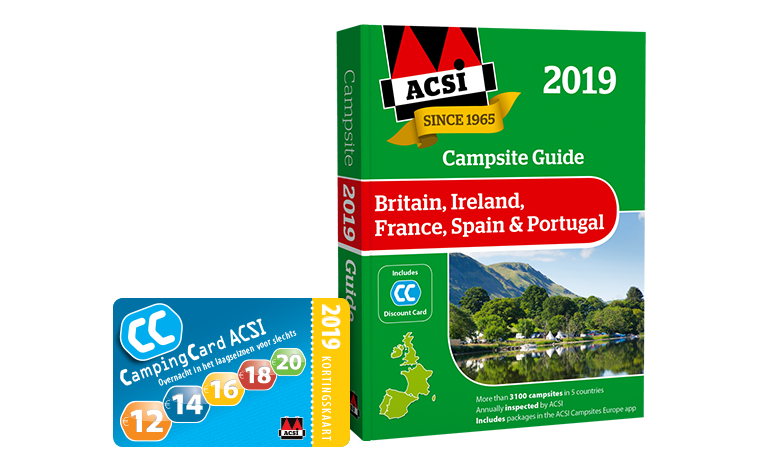 An indispensable travel guide for camping enthusiasts! 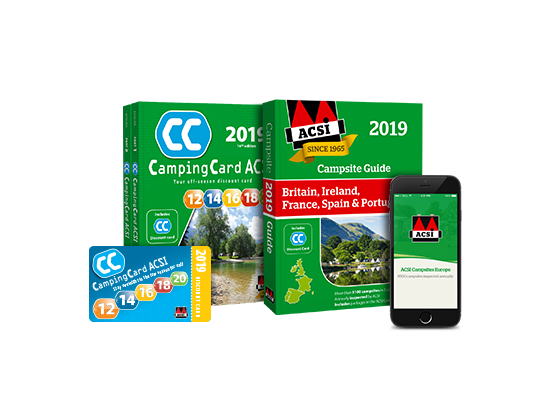 Not only does it describe the loveliest campsites in Great Britain, Ireland, France, Spain and Portugal, the guide is full of tourist information about all these wonderful destinations. Finding a pitch has never been so easy. 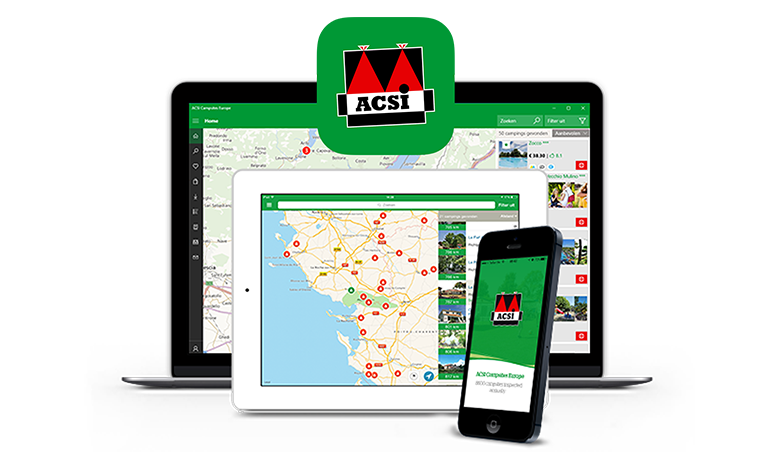 With the ACSI Campsites Europe app, you will always have extensive information about 8,100 campsites and 9,000 motorhome pitches at your fingertips. Available for smartphone, tablet or laptop. * Average number of nights based on rates in May, June and September.